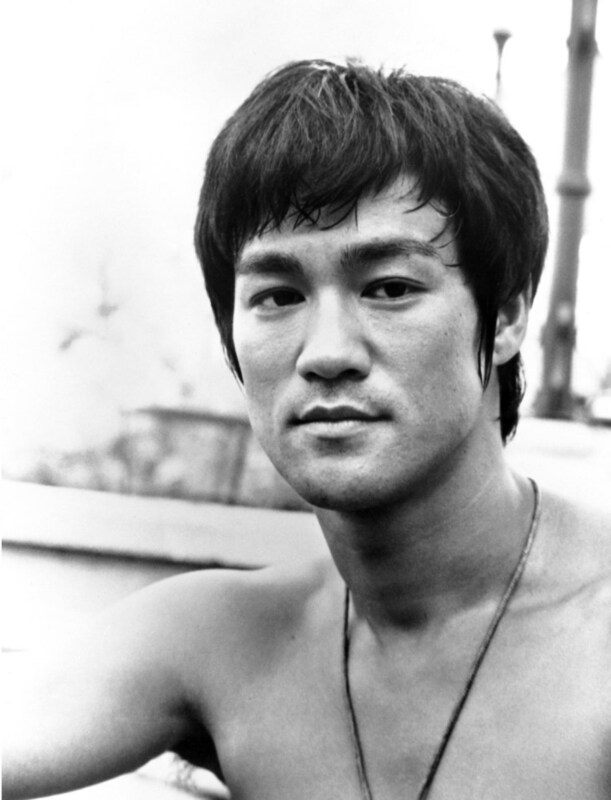 Bruce Lee was a revered martial artist, actor and filmmaker known for movies like ‘Fists of Fury’ and ‘Enter the Dragon,’ and the technique Jeet Kune Do. Bruce Lee was born on November 27, 1940, in San Francisco, California. He was a child actor in Hong Kong who later returned to the U.S. and taught martial arts. He starred in the TV series The Green Hornet (1966-67) and became a major box office draw in The Chinese Connection and Fists of Fury. 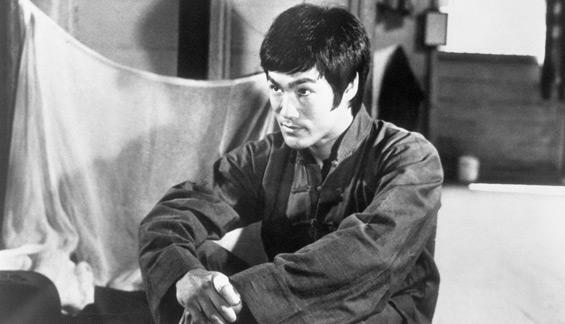 Shortly before the release of his film Enter the Dragon, he died at the age of 32 on July 20, 1973. 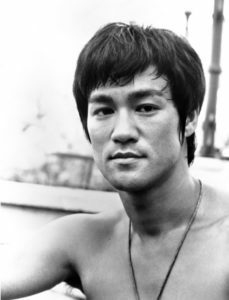 Iconic actor, director and martial-arts expert Bruce Lee was born Lee Jun Fan on November 27, 1940, in San Francisco, California, in both the hour and year of the Dragon. His father, Lee Hoi Chuen, a Hong Kong opera singer, moved with his wife, Grace Ho, and three children to the United States in 1939; Hoi Chuen’s fourth child, a son, was born while he was on tour in San Francisco. Lee received the name “Bruce” from a nurse at his birthing hospital, and his family never used the name during his preschool years. The future star appeared in his first film at the age of 3 months, when he served as the stand-in for an American baby in Golden Gate Girl (1941). In the early 1940s, the Lees moved back to Hong Kong, then occupied by the Japanese. Apparently a natural in front of the camera, Bruce Lee appeared in roughly 20 films as a child actor, beginning in 1946. He also studied dance, winning Hong Kong’s cha-cha competition, and would become known for his poetry as well. As a teenager, he was taunted by British students for his Chinese background and later joined a street gang. In 1953, he began to hone his passions into a discipline, studying kung fu (referred to as “gung fu” in Cantonese) under the tutelage of Master Yip Man. By the end of the decade, Lee moved back to the U.S. to live with family friends outside Seattle, Washington, initially taking up work as a dance instructor. Lee finished high school in Edison, Washington, and subsequently enrolled as a philosophy major at the University of Washington. He also got a job teaching the Wing Chun style of martial arts that he had learned in Hong Kong to his fellow students and others. Through his teaching, Lee met Linda Emery, whom he married in 1964. By that time, Lee had opened his own martial-arts school in Seattle. He and Linda soon moved to California, where Lee opened two more schools in Oakland and Los Angeles. He taught mostly a style he called Jeet Kune Do, or “The Way of the Intercepting Fist.” Lee was said to have deeply loved being an instructor and treated his students like a clan, ultimately choosing the world of cinema as a career so as not to unduly commercialize teaching. Lee and Linda also expanded their immediate family, having two children — Brandon, born in 1965, and Shannon, born in 1969. Lee, who was devoted to a variety of workouts and physical training activities, suffered a major back injury that he gradually recovered from, taking time for self-care and writing. He also came up with the idea that became the basis for the Buddhist monk TV series Kung Fu; however, David Carradine would get the starring role initially slated for Lee due to the belief that an Asian actor wouldn’t pull in audiences as the lead. Confronted with a dearth of meaty roles and the prevalence of stereotypes regarding Asian performers, Lee left Los Angeles for Hong Kong in the summer of 1971. Lee signed a two-film contract, eventually bringing his family over to Hong Kong as well. Fists of Fury was released in late 1971, featuring Lee as a vengeful fighter chasing the villains who had killed his kung fu master. 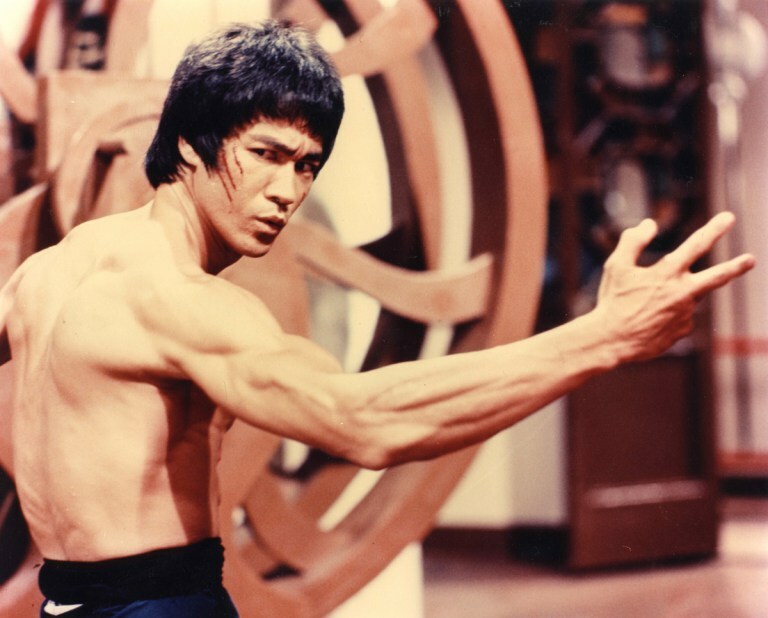 Combining his smooth Jeet Kune Do athleticism with the high-energy theatrics of his performance in The Green Hornet, Lee was the charismatic center of the film, which set new box office records in Hong Kong. Those records were broken by Lee’s next film, The Chinese Connection (1972), which, like Fists of Fury, received poor reviews from critics upon the U.S. release. By the end of 1972, Lee was a major movie star in Asia. He had co-founded with Raymond Chow his own company, Concord Productions, and had released his first directorial feature, Return of the Dragon. Though he had not yet gained stardom in America, he was poised on the brink with his first major Hollywood project, Enter the Dragon. On July 20, 1973, just one month before the premiere of Enter the Dragon, Bruce Lee died in Hong Kong, China, at the age of 32. The official cause of his sudden and utterly unexpected death was a brain edema, found in an autopsy to have been caused by a strange reaction to a prescription painkiller he was reportedly taking for a back injury. Controversy surrounded Lee’s death from the beginning, as some claimed he had been murdered. There was also the belief that he might have been cursed, a conclusion driven by Lee’s obsession with his own early death. More rumors of the so-called curse circulated in 1993, when Brandon Lee was killed under mysterious circumstances during the filming of The Crow. The 28-year-old actor was fatally shot with a gun that supposedly contained blanks but somehow had a live round lodged deep within its barrel. 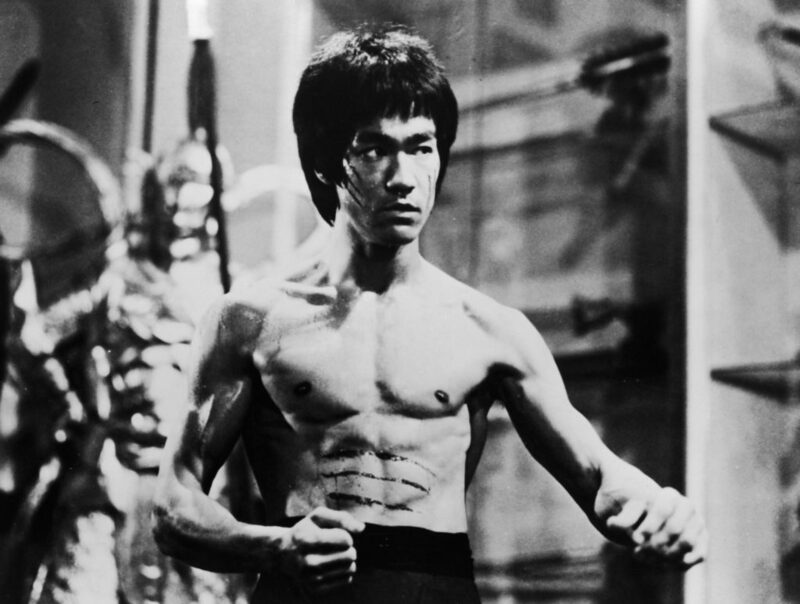 With the posthumous release of Enter the Dragon, Lee’s status as a film icon was confirmed. The film, said to have a budget of $1 million, went on to gross more than $200 million. Lee’s legacy helped pave the way for broader depictions of Asian Americans in cinema and created a whole new breed of action hero — a mold filled with varying degrees of success by actors like Chuck Norris, Jean-Claude Van Damme, Steven Seagal and Jackie Chan. Lee’s legacy as a premier martial artist continues to be revered as well. Daughter Shannon Lee was largely involved in the 2011 update of her father’s instructional guide Tao of Jeet Kune Do.